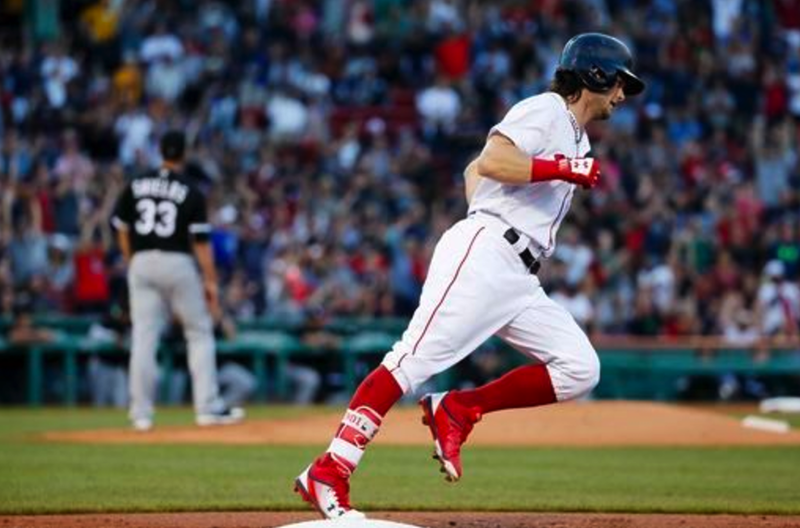 A pair of two-run HRs were enough for Drew Pomeranz and the Red Sox in a 4-1 victory over the ChiSox. Andrew Benintendi And Jackie Bradley, Jr. each went yard (the 13th longball for each)—accounting for all of Boston's runs. Pomeranz won his 11th game of the season—a career high—going 6.1 innings and giving up just a solo HR to the game's leadoff batter. The lefty walked just one and struck out eight—lowering his ERA to 3.36. The Carmine Hose mustered just five total hits off Pale Hose pitching—but they made those hits count. The Red Sox can go for the four-game sweep on Sunday. The win kept Boston with a 3-game edge on The Evil Ones, and expanded their lead over Tampa to 5.5 games.